This Channel Set Mens Wedding Ring is a simple beveled band with 3 vertically channel set stones. It has a brushed finish, but it could be given any type of polish that you wanted. 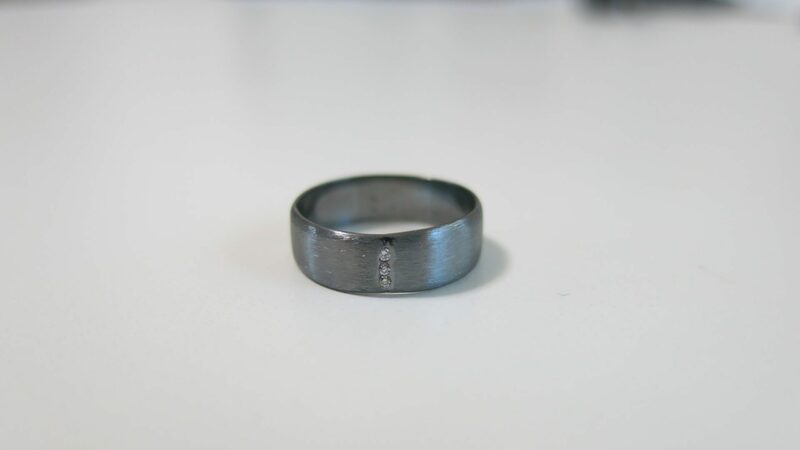 This Channel Set Mens Wedding Ring, but it can be made as narrow as 4mm wide and up to 12mm wide. The stones are diamonds, but as sown in the rendering, other stones could be used. Valeria Fine Jewelry can make almost any wedding ring that you can dream up, so if you don’t see exactly what you want, contact us. METAL OPTIONS: Sterling or Argentium Silver, Palladium Silver, Rose Gold, Yellow Gold, White Gold, Palladium, and Platinum. ACCENTS: Shown with 3, 1.5mm diamonds. Almost any type of stone could be used and they can be made larger with a wider ring. Click HERE to learn more about custom jewelry. 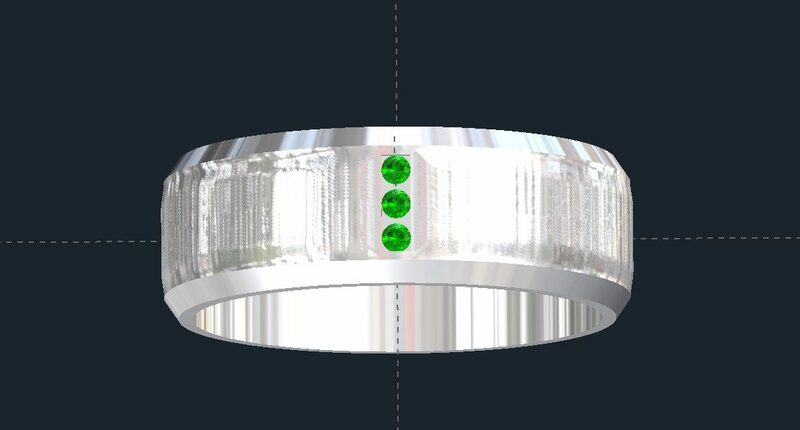 To see another Channel Set Mens Wedding Ring design or to contact us, click HERE.